Ok so awhile back I posted about dandelions and said I was going to start doing regular posts on things you can eat in your backyard. Since then I got distracted with all sorts of cool topics. A friend with a problem brought me back to it though. As I was chopping down and hacking away at overgrown burdock bushes I thought back to my parents cooking burdock stems and making tea from the roots. So I decided to go use my favorite tool Google. I soon found a ton of information about this "annoying" weed that we all hate including that a tea made from the seeds can help control and even cure gout. Since I have a close friend with this very issue I got very excited. 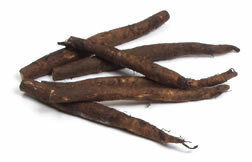 Not only that but the stems can be eaten like artichokes and even the roots can be used for medicine. 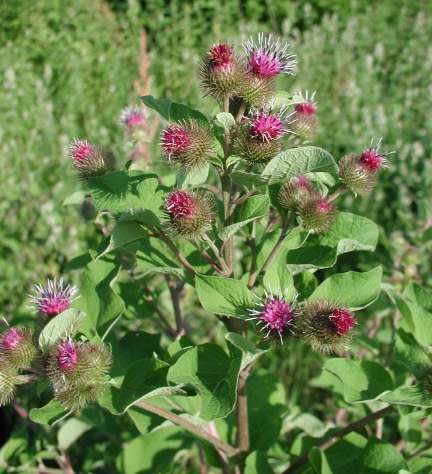 There are many medicinal uses for burdock. 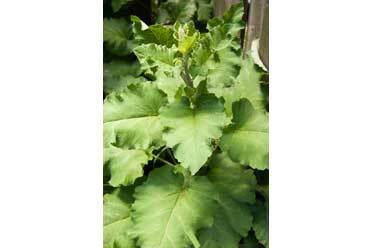 The leaves can be mashed into a poultice for healing wounds. The seeds of the burdock plants can be used for: cleansing the bloodstream, easing pain from arthritis, and treating gout, rheumatism, ulcers, acne, eczema, and psoriasis, aphrodisiac, barrenness and impotence. So there you have it! I will be digging up some of our plants and using them in some yummy recipes and making teas and whatnot with them. Both hubby and I suffer from joint pain, ulcers and I have kidney issues, and like I said our friend has gout. 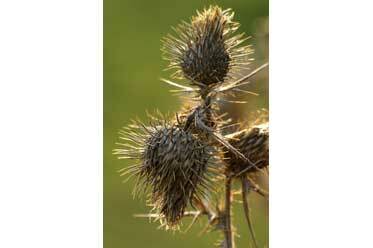 So if you live near here then you most likely have burdock in your yard. Next time you go to chop it down... remember this is a powerful wonderful backyard edible!